Kaspersky Security Software = Russian Spy? None of the security officials, which included the heads of the CIA, FBI, and NSA, revealed what prompted their suspicions, or cited any case in which Kaspersky products were used to spy on U. S. computer networks. Nonetheless, the FBI has reopened an investigation of the firm, citing no reason for doing so. U. S. Defense Intelligence Agency director Vincent Stewart says "we are tracking Kaspersky and their software." And Michael Rogers, head of the National Security Agency is said to be "personally involved" in monitoring the company. You can read Kaspersky's blog post Statement Regarding Recent False Allegations about Kaspersky Lab which offers a robust defense against the allegations. More recently, Kaspersky has gone as far as to offer the source code of all of its products to U. S. intelligence experts for analysis, confident that they will find no back doors or hidden weapons in its software. You can’t do much more than that to prove your innocence. Kaspersky Lab has been around for more than 20 years. No one in the worldwide security community has ever found evidence that it collaborates with Russian intelligence agencies, or that its software contains any secret code that might enable it to be used for spying. More than 270,000 businesses and 400 million individuals trust Kaspersky enough to use its software. None has reported any hint of untoward activity. In a statement issued after the first reports on the Senate hearing, Kaspersky Lab insisted: "As a private company, Kaspersky Lab has no ties to any government, and the company has never helped, nor will help, any government in the world with its cyberespionage efforts. The company has a 20-year history in the IT security industry of always abiding by the highest ethical business practices, and Kaspersky Lab believes it is completely unacceptable that the company is being unjustly accused without any hard evidence to back up these false allegations," the statement continued. THERE IS NO DOUBT that botnets, various forms of malware, phishing techniques, as well as vulnerabilities in popular software, operating systems and networking protocols are being used by many government agencies in a cyber-espionage game that is quietly escalating around the globe. And it's not just Russia versus the USA. The military and intelligence counterparts in China, Iran, North Korea, Israel, the United Kingdom, and likely dozens of other countries are using the Internet to dig dirt and steal secrets from each other. But none of that is reason to point an accusing finger at Kaspersky. I don’t use Kaspersky products, but I have respect for the integrity of the firm and its founder. If the Russian government wanted to spy on Americans, they could certainly find more stealthy ways to do so, than to use Kaspersky software. If politicians here have hard evidence that Kaspersky's hands are dirty, that would be one thing. But if they are smearing the company’s name for the sake of politics, distraction or paranoia, that's unjust. I hope that the matter can be investigated quickly and put to rest. It's interesting that allegations of Kaspersky being a tool of Russian intelligence also surfaced back in April of 2015, but those accusations were handily rebuffed by Eugene Kaspersky. I explained in my 2015 article Where is Your Antivirus Made? That “country of origin” is not necessarily a useful indicator of your antivirus software’s trustworthiness. Most recent comments on "Is Kaspersky Anti-Virus Spying for Russia?" Great article Bob. We've known about Kaspersky for years now. It has long standing affiliations with Russian intelligence. That doesn't mean they don't make great software though. Thanks for another thought provoking read. The fact that Kaspersky is prepared to supply the source code for analysis by the US multitude of Govt. security agencies suggests to me that what some see as a 'no smoke without fire' situation may actually be seeing the result of anther Trump brain fart. I would trust Kaspersky AV more than any currently USA home grown AV product when it comes to potentially containing govt. security hooks. Remember American History. There was once an American President who headed off America descending in to paranoia by stating a truism. "The only thing Americans have to be afraid of is Fear itself." And World history has shown that when Politicians use fear as a political tool that it never ends well. ie. Germany in the 1930-40's. Well if it's politicians that don't trust Kaspersky, then I think the company is nothing to worry about. I'd be more worried if the politicians recommended it. Just 'cause you can get elected don't mean you know anythin' about 'puters. Oh hum, excuse me while I go take a healthy! @Nancy Teppler-- The maxim, "Believe half of what you see, and none of what you hear" is a call for skepticism of even accepted truths and reputation. Such a rule easily could be applied to apparently benign corporations and individuals. Likewise, the problem with demanding "proof" in a world filled with intelligence-gathering and other security exploits is proof heavily depends on level of information and context. All too often, the evidence is not publishable. In any case, the position taken by intelligence officials on Kaspersky is similar to their positions on a number of PRC-related matters-- it is an assessment of risk, not necessarily a proof that can, or should be debated publicly. I can see the cause for concern. In Russia, no company can realistically be expected to operate free of goverment control or interference. If authorities in Russia want to use Kaspersky's product to gain access to various computer systems in other countries, it's reasonable to expect that they could do so. In my opinion, the risk is too great to take on any system that contains sensitive information. Call it paranoia if you want. I call it erring on the side of caution. Welcome to reality people. Wow! Five days to run a scan by Kaspersky as one commenter stated. Surely that is some kind of miscommunication between the poster and K.? Hard to believe ANY scan could run that long, but then I'm only an amateur when it comes to computer technology. I would rather trust American products. I am using Window Defender for my Window 7. Considering recent revelations about the USA intelligence service, I would be hesitant to use security software from the US or Russia. In a post-Snowden world I'm not inclined to trust anybody (from *any* nation) in the digital world (the USA very much included)... But leaving the doors wide open is not really an option; we need some protection. I remain a skeptic, but this rumour sounds like "fake news", to me, born of prejudice. I work on the premise that the big AV companies, with their reputations to maintain, stand to lose more if they cheat. Kaspersky has been around for 20 years, if they are spying on users then wouldn't someone have noticed that and said something earlier? Is there proof of spying or is this another round of paranoia? I doubt they would risk losing their business over something so foolish. Considering the failures of the government employees and their ability to keep information secure makes the statements about Kaspersky a mute issue. Why do people not pay attention to the owner of the Russian server group's statement about the computer address in Germany. I use Kaspersky on most of the computers in my house (I use Trend Micro on one), mostly because they have great deals on multiple copies of the software. I would note that when installing, Kaspersky objects to the presence of Comodo firewall software (which identifies outgoing as well as incoming threats), so who knows. But I run them both anyway, so I'm not too concerned that Kaspersky might be phoning home. Their service people are local to me in the Boston area, and I have been to their offices here and heard their sales pitch. I'm satisfied that there's nothing untoward about their software. Too bad some posters have gone off-topic to bash President Trump so that the poster feels better. I, for one, look to technology forums to get information that is useful. Scrolling through non-related posts is a waste of space. Other Trump bashing forums are out there, so go there to vent and posture. The anti-Russian fever sweeping the nation is starting to bear the stench of the Red Scare during the McCarthy Era in the 1950s. The one difference is that Soviet communism has been dead for more than 25 years -- and that both Washington AND Moscow have heads of state with a disturbingly nationalist authoritarian streak that come dangerously close to fascism. History has proven again and again that neo-fascist nationalism leads to wars. The famed Spanish-American philosopher George Santayana warned, "Those who fail to learn from the past are condemned to repeat it." Great! 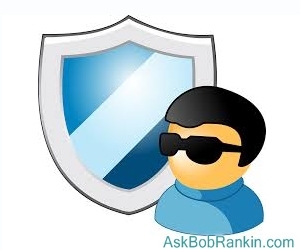 Another balanced and focused article from Bob Rankin. Frankly, I'm getting tired of the "unnamed sources", investigations that our government is doing that have no basis (or they're not willing to tell us what it is), and all the other subterfuges that are happening now. Whether the President started it all or it's pure negative politics, they "representatives" that our tax dollars pay for should be transparent if there are issues and not start witch hunts. There are significant issues to be addressed and anything else is mishandling of our money. Sounds like this Kaspersky issue falls into the much ado about nothing category. There are NO evidence against Kaspersky, JUST Russophobia.Have anyone ever seen any evidence ? Have anyone EVER seen any evidence of Russian interference in US elections ? BUT, there are evidence that NSA was spying on Germanys Merkel and the French president and others ! There's more reader feedback... See all 47 comments for this article.